Nurtured by Nature Booklist: Enchanting Children with the Wonder of the Outdoors is a new weekly feature here at Budding Homestead. Every Thursday, I will review a children’s book from the category of gardening, nature, farming, the outdoors, and such other topics that keep the magic of this more simple life alive in us all. Each review will be linked to in an ever-increasing list of awesomeness on the Nurtured by Nature Booklist page found in the sidebar. 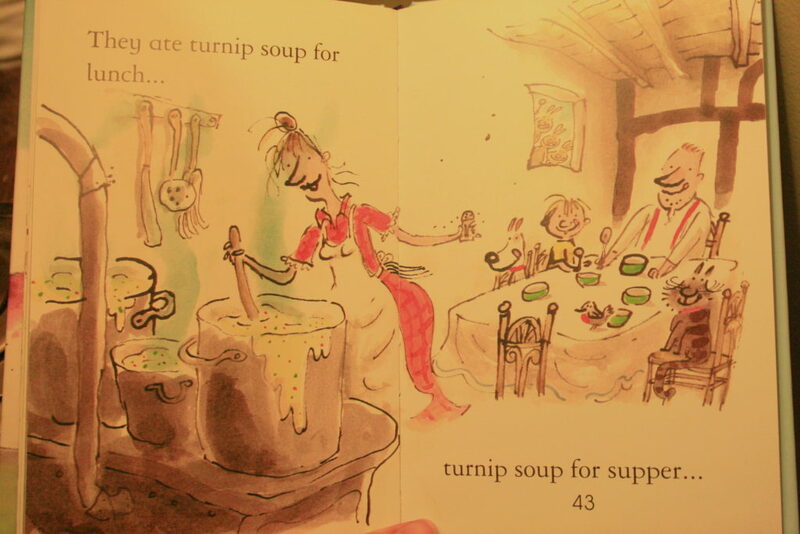 Today’s book revolves around one of the veggies our family loves to grow, and is too often under-appreciated: turnips! 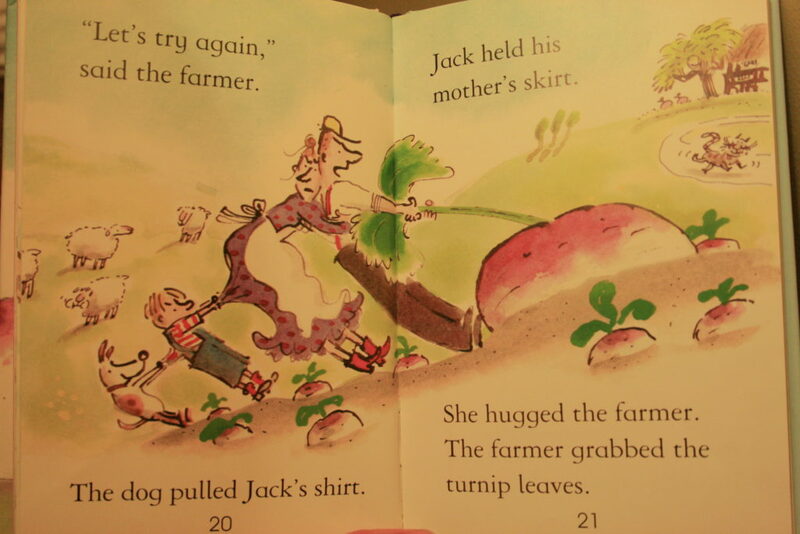 This Russian author, while typically known for writing adult pieces, brings a humorous children’s story of a farmer trying to harvest his very large turnip. It is so huge that all hands on the farm are needed to pull this one out of the ground. Age: Many ages – Very young listeners will keep their attention with the short text and its rhythmic nature, plus comical pictures, all the way through to beginning readers who will enjoy learning to read from this funny story with many simple words and repetition. Text load: One or two sentences on each page. How it reads. When we read books aloud, it is interesting to note how a text sounds. This book doesn’t rhyme, but its parallel structure and repetition delights the ears in a similar way. I love how it is a fantastical representation of a real gardening occurrence – those root veggies can get very large! It brings magic to what might otherwise be an everyday garden task. 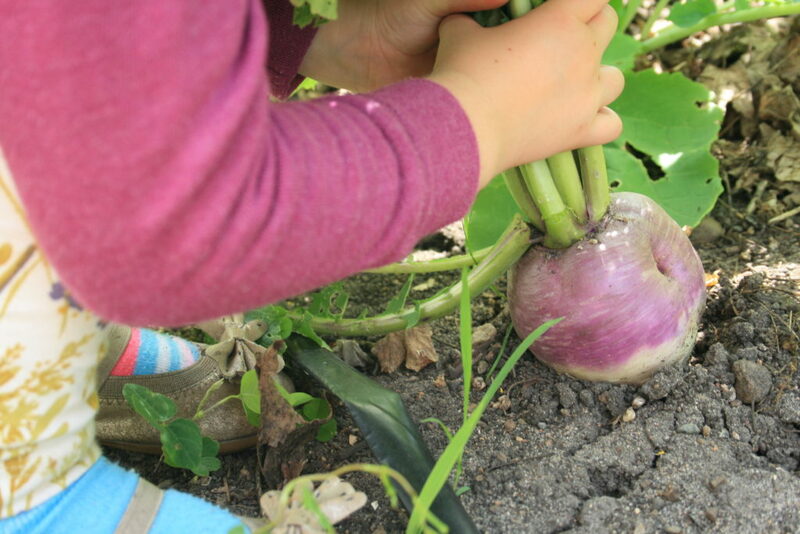 Your child will not run out to the garden to grab a turnip for dinner in the same way again. It brings humor to our gardening. We all love to laugh, and especially those kids. Sometimes we can be a little too serious about our food plots and garden tasks. If that’s you, do your kid a favor and get this book on your shelf! Order The Enormous Turnip on Amazon . 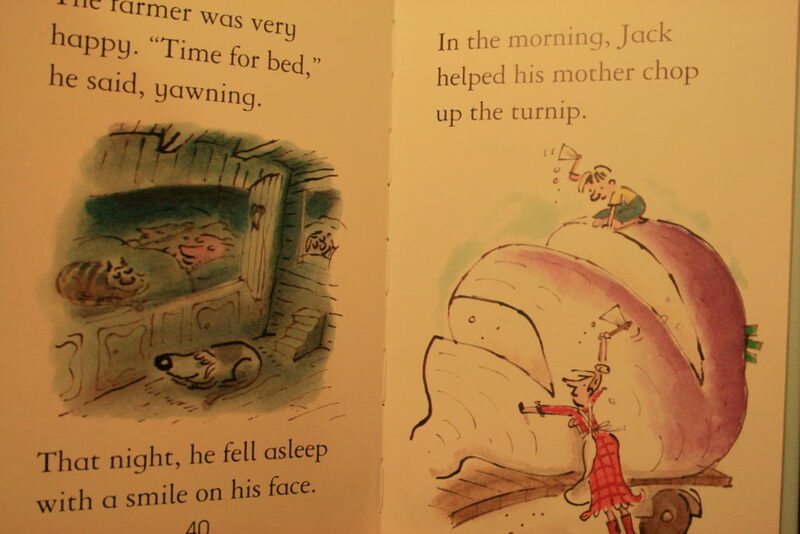 We just checked a book out of the library two days ago, The Turnip by Jan Brett. It is along the same lines of a giant turnip that needs lots of help to remove it from the ground. We enjoy her books because there are so many interesting things to look at on each page. Her drawings are so detailed. Now I’m going to have to look for your turnip book on our next trip to the library. Thanks for the recommendation.